*** UPDATE: *** - Resume a video at the point user left it on. 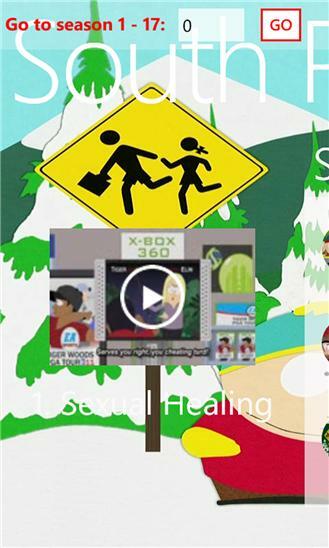 - 17 seasons and movies of South Park animated series. - English subtitle. South Park is an American adult animated sitcom. Intended for mature audiences, the show has become famous for its crude language and dark, surreal humor that satirizes a wide range of topics. The ongoing narrative revolves around four boys—Stan Marsh, Kyle Broflovski, Eric Cartman, and Kenny McCormick—and their bizarre adventures in and around the titular Colorado town. The series has received numerous accolades, including five Primetime Emmy Awards, a Peabody Award, and numerous inclusions in various publications' lists of greatest television shows. The show's popularity resulted in a feature-length theatrical film, South Park: Bigger, Longer and Uncut which was released in June 1999, less than two years after the show's premiere, and became a commercial and critical success. 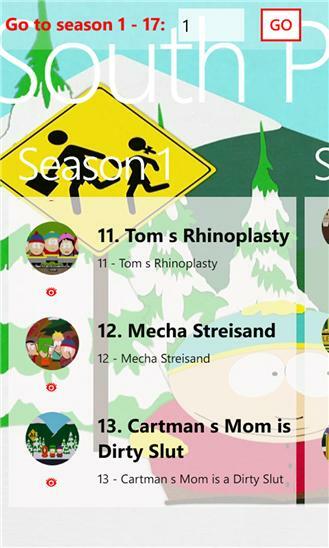 In 2013, TV Guide ranked South Park the tenth Greatest TV Cartoon of All Time. South Park is the third longest-running animated series in the U.S. behind The Simpsons and Arthur.